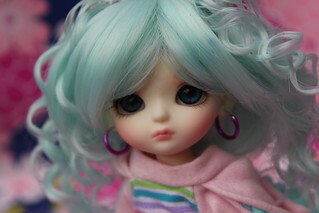 I love a variety of dolls not just Pullips! 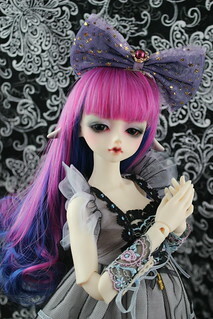 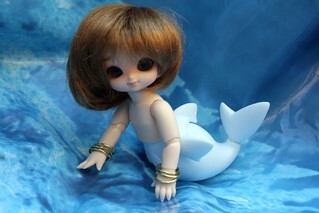 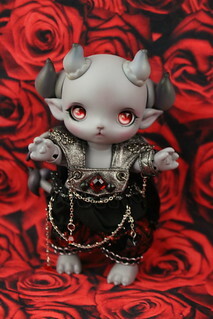 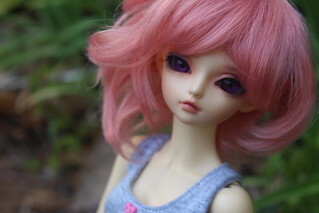 This page is just for my ball jointed doll or BJD collection. 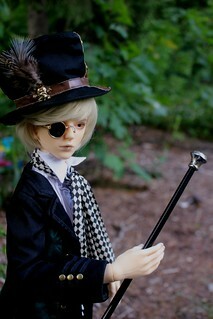 For those who don’t know BJDs are strung dolls with ball joints. 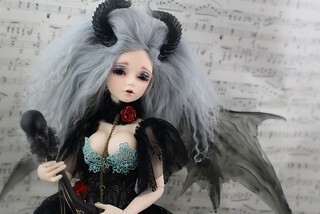 Some people/places such as Den of Angels (the largest bjd forum/community) have a very focused view on what constitutes a bjd and have much more stringent guidelines as to what is to be considered to be a bjd such as that the doll must be made of resin, have a certain amount of joints etc. 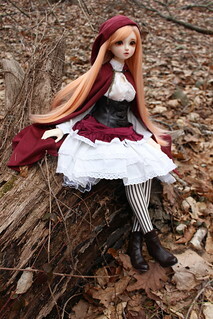 while I’m a bit more relaxed. 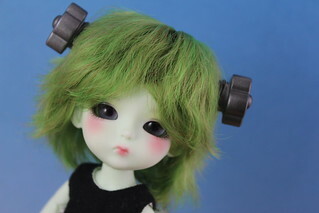 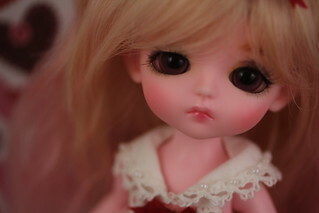 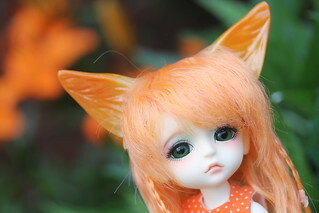 It is important to note that Pullips are not bjds, they are Asian fashion dolls that just means they are a different sort of doll not necessarily better or worse than bjd. 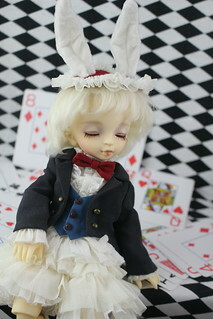 For more information on bjds such as where to buy etc please see my generalized Doll FAQ. 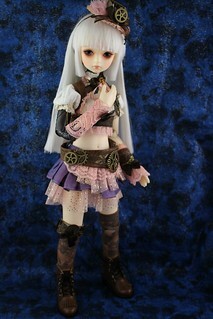 Sorted by Company then from largest to smallest. 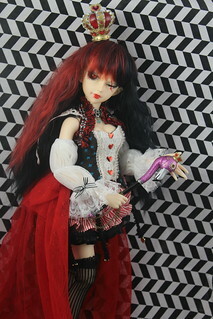 Special Notes- Customized by Requiemart, the inspiration for this doll was that the queen of hearts had a personality so vile it started to affect her appearance. 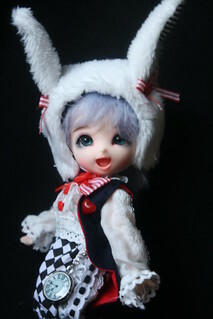 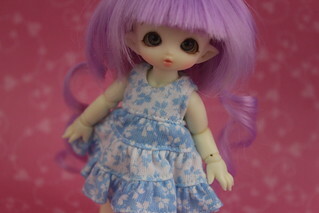 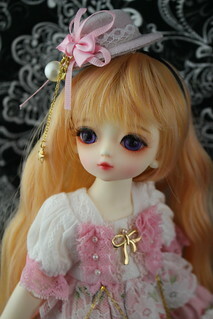 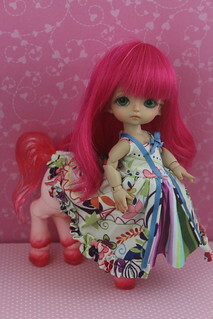 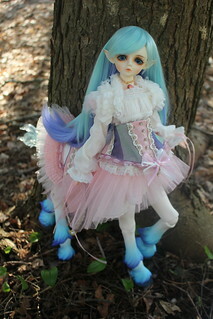 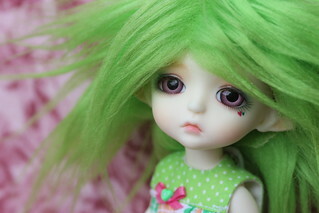 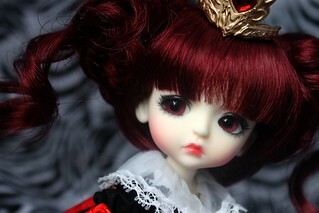 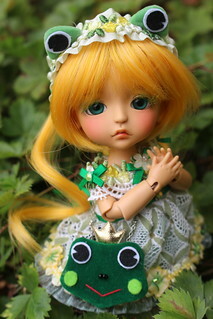 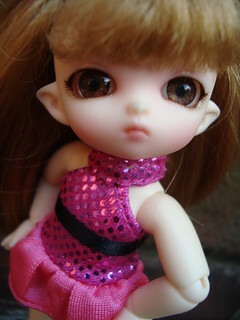 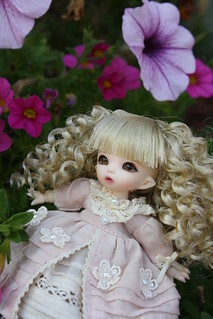 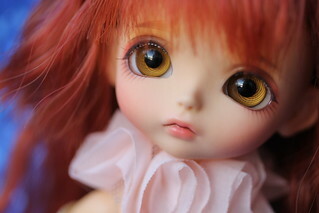 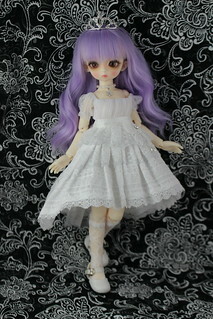 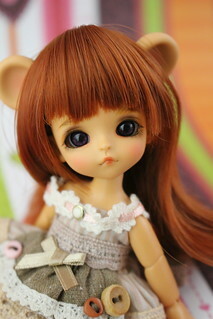 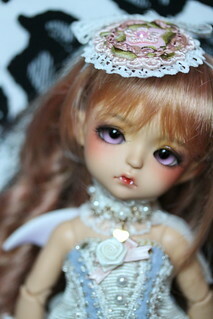 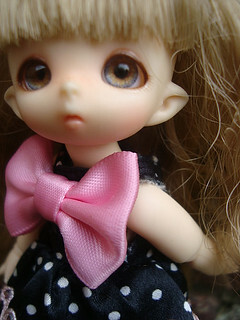 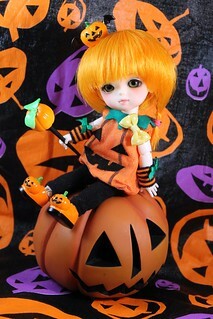 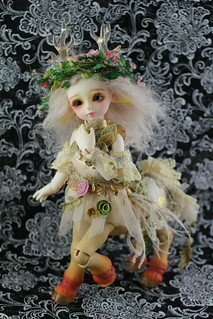 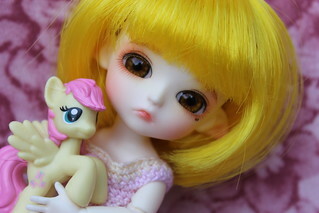 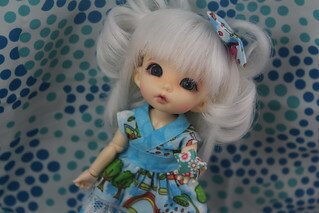 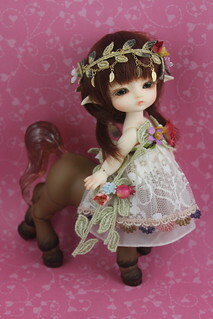 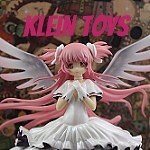 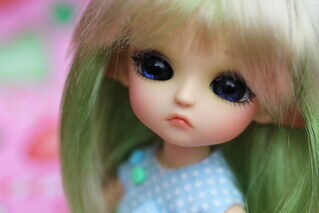 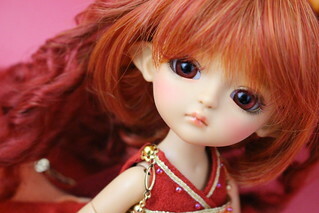 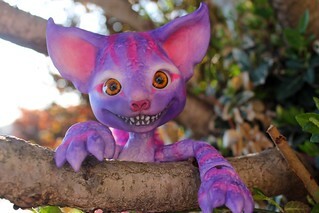 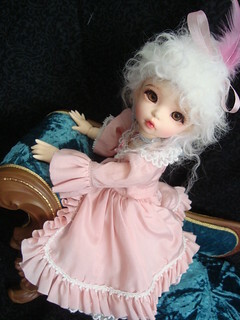 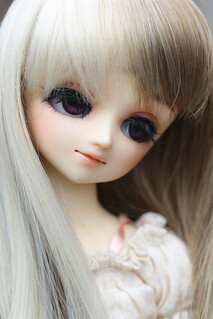 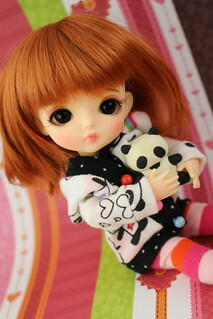 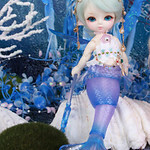 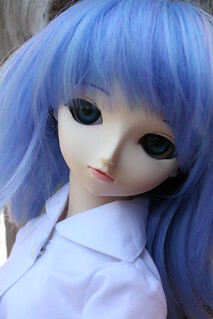 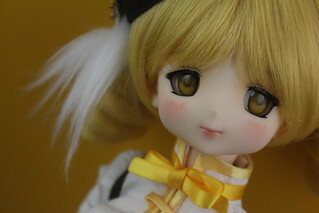 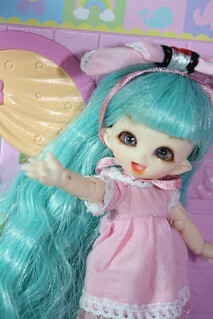 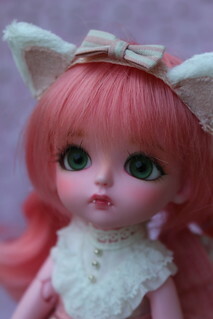 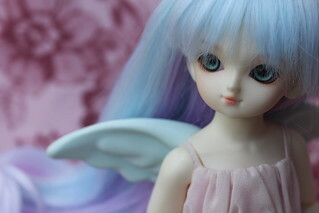 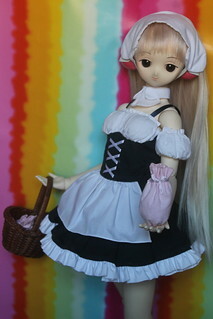 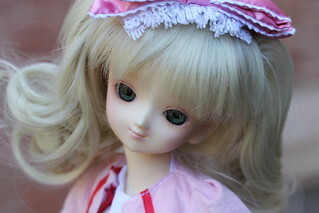 Special Notes- She is an official character doll that was released by Fairyland in Japan only. 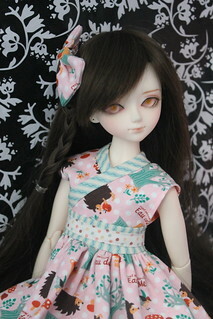 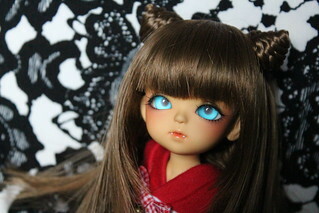 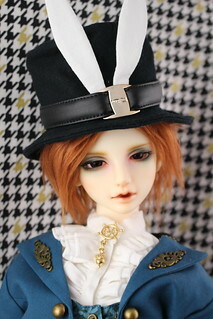 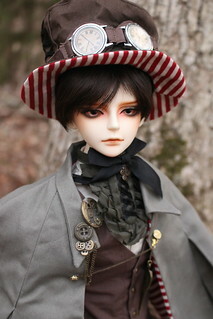 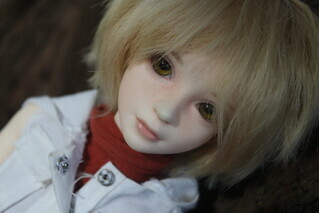 Notes- Ante was my first bjd. 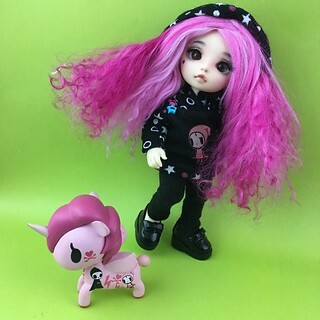 Special Notes- I previously owned a WS Bisou but did not like the WS so I rehomed but I missed her so I ended up rebuying Bisou but this time in NS. 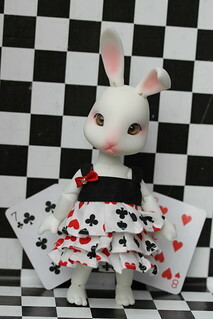 Special Notes- My addiction to Alice in Wonderland strikes again. 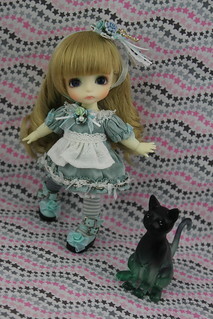 Special Notes- Littlefee Ante was my first bjd so she will always hold a special place in my heart, as soon as I saw a smaller version of her I had to have her too. 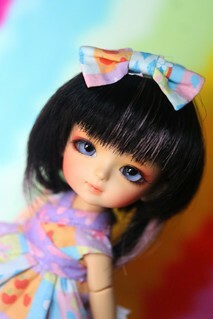 Special Notes- One of my Powerpuff Girls trio. 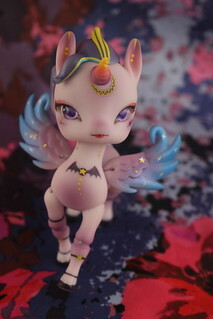 Special Notes- Part of the Little Witch Version series where gray skintone was available from Luts back around Halloween 2016. 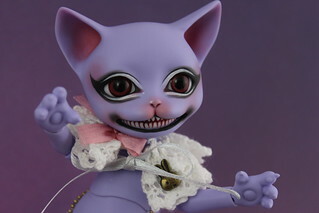 Special Notes- Based off of my Skyrim character. 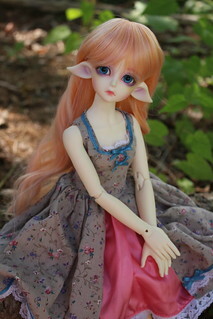 Special Notes-Has been customized by Requiemart, she is still in the process of becoming the character Yuzuki from the manga/anime Chobits. 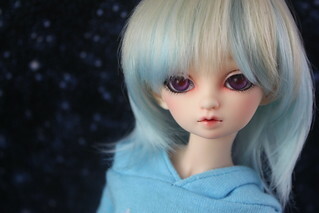 Special Notes- My beloved dream, who I never thought possible. 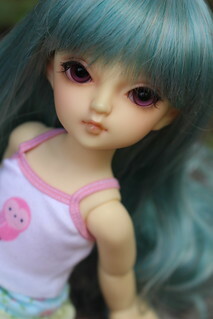 Special Notes- Of all my dolls, she has taken the longest to introduce I had her for over two years before taking photos of her. 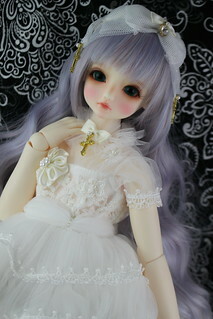 Special Notes- Rebekkah was purchased secondhand I was not the one who designed her. 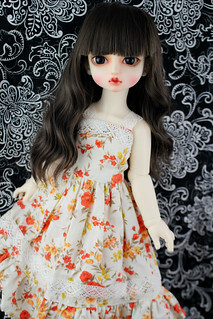 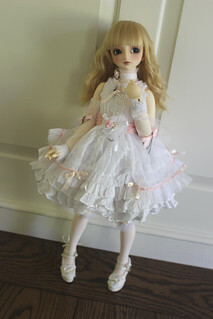 Special Notes- I always wanted a larger version of YoSD Hina Ichigo when I saw someone beat me to it and the doll was now up for sale, I pounced! 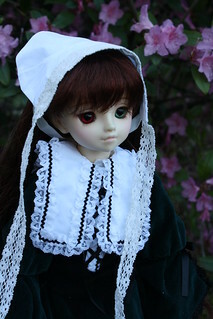 Special Notes- One of my “grail” bjds I thought I would never be able to get. 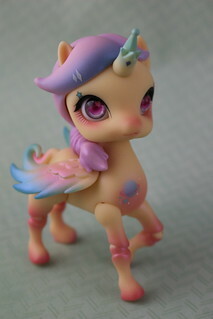 I had my eye on the Mirage Coral Lukia for a while, but waited too long and now she’s sold out. 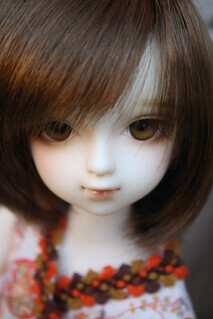 I can’t wait to see your photos of her! 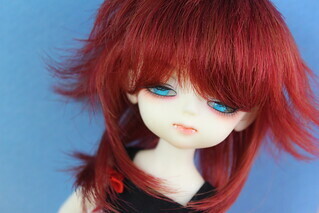 Also, can you request LUTS to give you a specific eye colour or is it completely random? 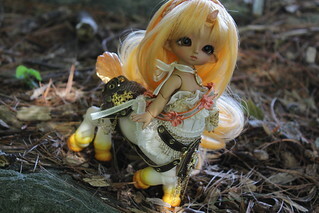 I only have the one Tiny Delf and she is a centaur so she doesn’t have the full standard body but I will say I’m extremely happy with her and was very happy with her quality. 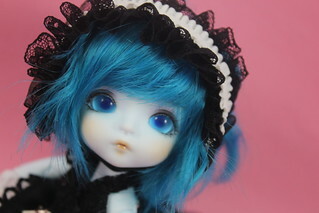 Normally I’m a big fan of Lati Yellows but with their current wait times the next time I’m in the market for a tiny I do believe I’ll get a Tiny Delf instead. 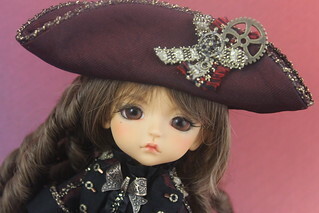 I believe the eyes are random but I have had a lot of success with other companies when I have wrote something along the lines of prefer brown eyes when I have placed the order. 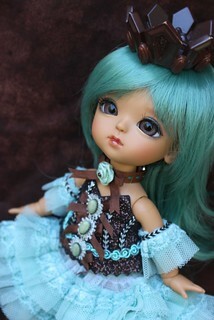 I didn’t think to request a color when I ordered my Gerda. 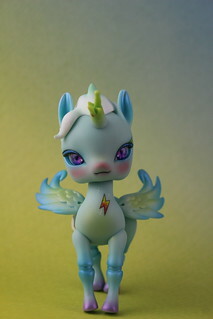 Gosh you quite an army of lati yellows…. 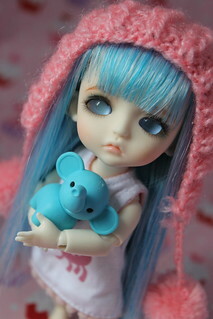 I’m so jealous!!! 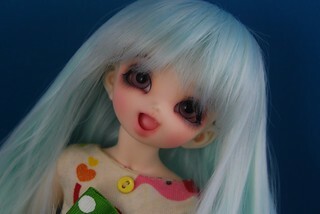 The Lati Yellows are definitely my favorites heh. 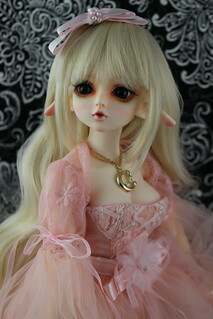 Since I fell for LY I don’t think have bought any other bjds, I just adore them so much. 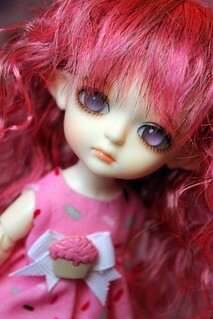 Did your Jamong come in yet? 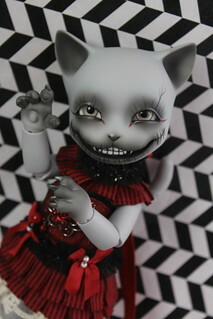 I got mine about two months ago, the Moonlit song human version. 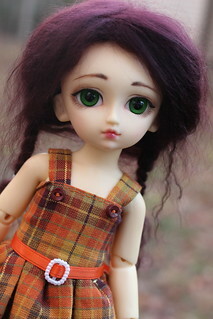 She’s just great!! 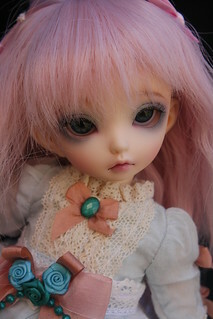 Not yet but I went through a dealer so I could do layaway for her and her stuff, I paid the layaway off last week and I think she is in transit from Luts to the dealer. 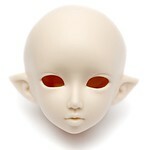 I got the human version with elf ears and the purple-y face up, I’m dying for her to actually get here.